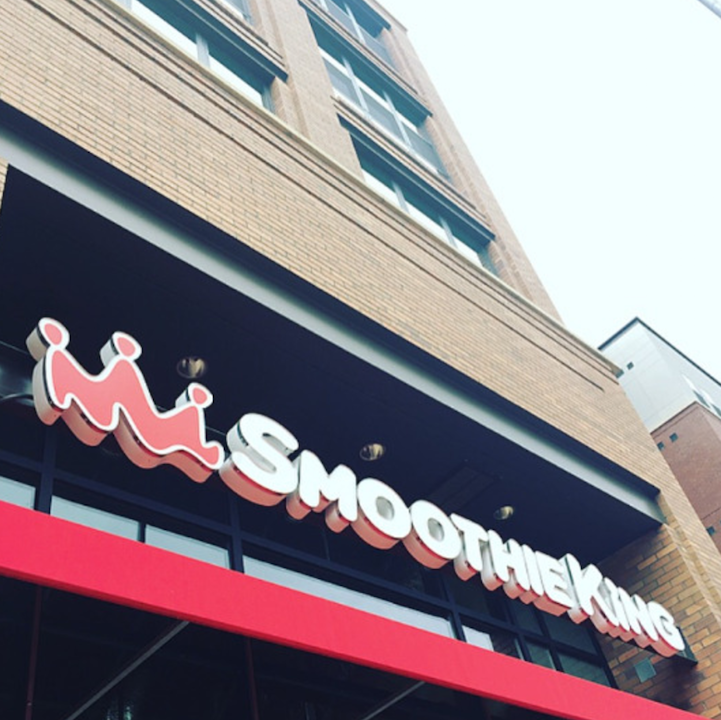 This week on Tasty Tuesday I made a pit stop to Smoothie King! Located underneath Stanhope and in between IHOP and Pieology, this new addition is one to stay. 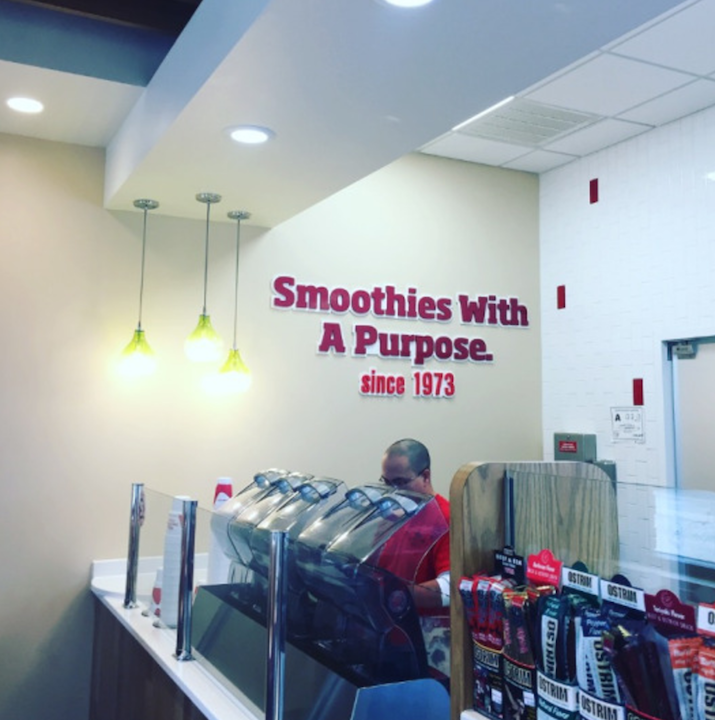 Their goal is to provide smoothies with a purpose and they do just that. 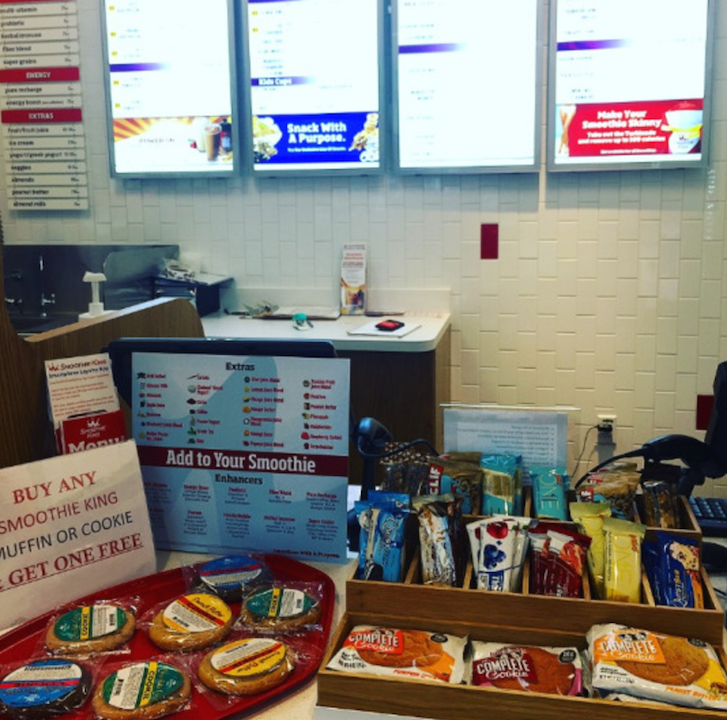 They offer a variety of smoothie options that create a customized experience for each customer that walks in. Upon my arrival, I was greeted by two employees that asked how they could help me. Because it’s flu season and I have been under the weather, I asked if there were any smoothies that could help me feel better. After them asking me a few questions and some crucial decision-making, I ordered the Immune Builder Orange off their Wellness Blends menu and added a Multi-Vitamin Enhancer. Needless to say, I was not disappointed with this tangy delight smoothie. Not only do they offer a wide variety of Wellness Blends but they also have Fitness Blends, Slim Blends, Take a Break Blends, and even offer Kids’ Cups. This allows customers to have a unique smoothie that fits their needs. Along with smoothies and enhancer boosts, they also have a variety of supplements for fitness needs and healthy snacks such as nuts, protein bars, veggie chips, protein muffins and much more. If you need a boost to help you with fitness goals, a boost to get you through this flu season, or just want a good smoothie, Smoothie King is the place to go. They are located at 3001 Hillsborough St #112 and are open Monday-Friday 7am to 9pm, Saturday from 9am to 9pm, and Sunday from 11am to 7pm. Go check them out today!